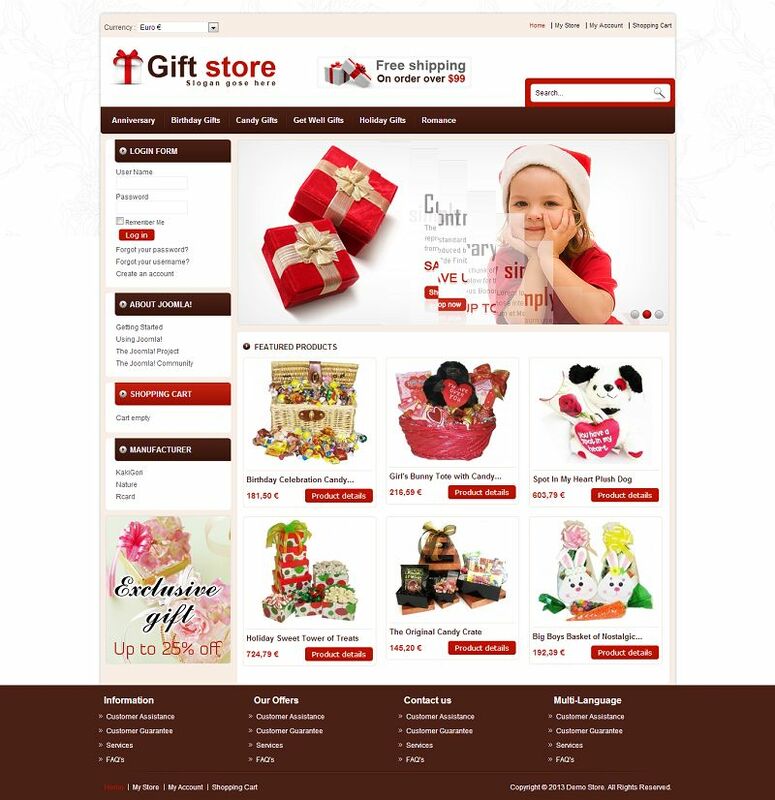 VTM040089 is a premium gift store VirtueMart theme from TemplateMela. This this theme is perfect for gift, flowers and art gallery stores. It has a nice looking color combination with clean and flexible layout. The home page is equipped with an awesome slideshow block that helps you to showcase your special products with great focus.